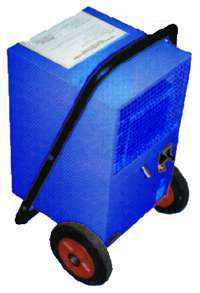 For a desiccant dehumidifier in the United Kingdom , click here. Dehumidifier-humidifier.com is part or the RAC Kettering group with the business first beening formed in the mid 1970's in Kettering, Northanptonshire. Now having grown to become a major supplier of a wide range or air control equipment from dehumidifiers, humidiferers, air filters, portable air conditioner, mobile air conditioner, air conditioning, commercial refrigeration, industrial refrigeration, restaurant refrigeration room to coldstore manufactures. Our team of qualifiered engineering staff on hand have over 200 years combined experience in the industry and can offer a wide scope of solutions. Dehumidifier-humidifier.com is a specialist online site for dehumidifier and evaporative humidifier equipment. With a wide range of desiccant dehumidifier, industrial dehumidifier and commercial dehumidifier equipment available we can offer the best dehumidifier option to meet any dehumidifier uk requirement. Whether the requirement is for a small dehumidifier, home dehumidifier, portable dehumidifier, room dehumidifier, residential dehumidifier or dessicant dehumidifier from our wide range you can buy a dehumidifier or general dehumidifier to suit your needs. Dehumidifier UK is a no-frills budget provider of wet dry filters in Britain . 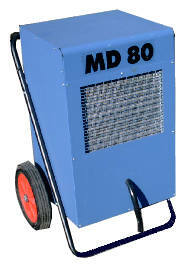 If you simply need an portable dehumidifier or a best dehumidifier call us. Delivery is by mail order to anywhere in the UK . Dehumidifier UK is operated by Icecape Ltd trading as RacKettering, who are long established commercial refrigeration engineers. Your supplier of desiccant dehumidifier , industrial dehumidifier , dehumidifier , commercial dehumidifier , portable dehumidifier , room dehumidifier ,dehumidifier manufacturer , room dehumidifier , dehumidifier manufacturer , low humidity system industrial dehumidifier desiccant dry , air humidity relative control dryer , dehumidifier sale , dehumidifier part , dessicant dehumidifier , small dehumidifier , residential dehumidifier , dry air dehumidifier , buy a dehumidifier humidifier , humidifier filter , general humidifier , to Britain , low humidity system industrial dehumidifier desiccant dry ,air humidity relative control dryer ,dehumidifier sale ,dehumidifier part ,dessicant dehumidifier ,small dehumidifier .